For over a decade, Dr. Andrea has provided the Lakeview community with state-of-the-art chiropractic care, helping them to optimize their health potential and pursue an active lifestyle. At Total Balance Chiropractic we offer our patients a multifaceted approach to holistic well-being, with an emphasis on pediatric, prenatal and sports chiropractic. 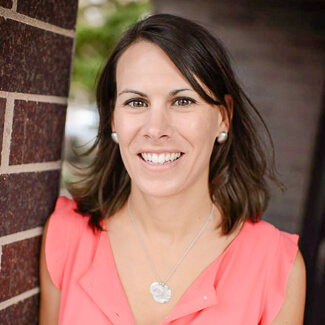 Dr. Andrea earned her Doctor of Chiropractic degree from Palmer College of Chiropractic in Davenport, Iowa. As a student, she had the opportunity to participate in their Clinic Abroad Program in Brazil, where she and other classmates treated low-income people in many cities. An active lifestyle is important to Dr. Andrea. She loves to hike, cook and enjoy nature with her husband and two daughters. Dr. Andrea holds a special place in her heart for the treatment of babies, children and moms-to-be. She also specializes in cutting-edge chiropractic care for athletes. Our office features on-site X-rays, and we’re open late. Contact us today for an appointment at our family-friendly clinic!